Tuesday, we're talking about jellyfish. Chances are you've never given them a second thought. The science writer Juli Berwald gets it, but she loves them. She's written a new book about how complicated and beautiful they are. 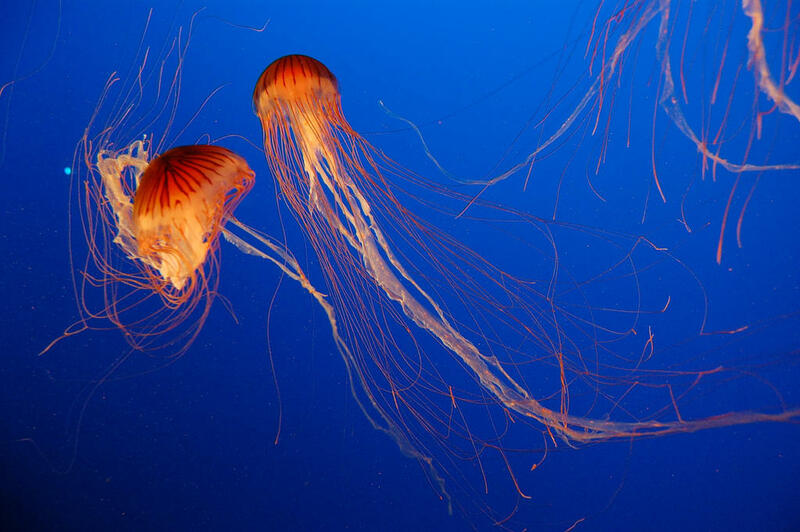 Chances are you’ve never given jellyfish a second thought. The science writer Juli Berwald gets it. They’re not cuddly, they just bob along in the ocean, and they sting. Nevertheless, she loves them. In fact, she’s so fascinated, she’s written a book about how complicated they are, how beautiful. To her, they’re like aquatic angels, with a demonic side: that sting. Studying jellyfish and writing about them even helped Berwald grow a spine of her own. She joins us Tuesday to talk about it.